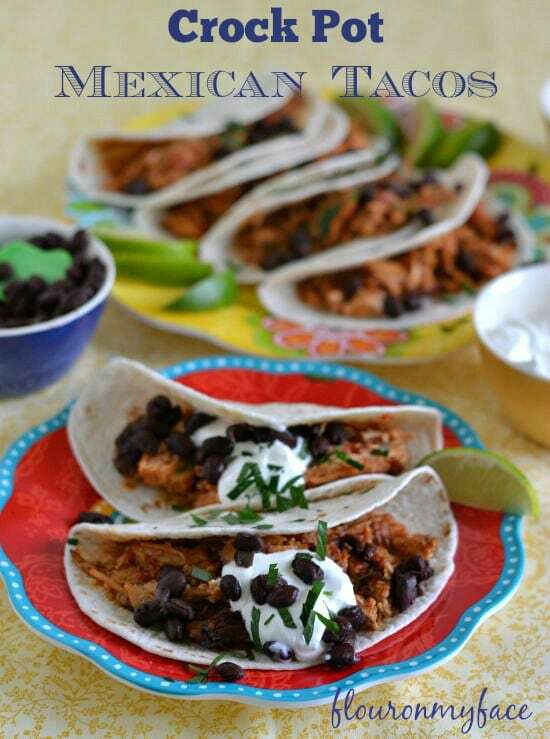 I love coming up with new crock pot recipes like this Crock Pot Mexican Pulled Pork Tacos recipe for two reasons. 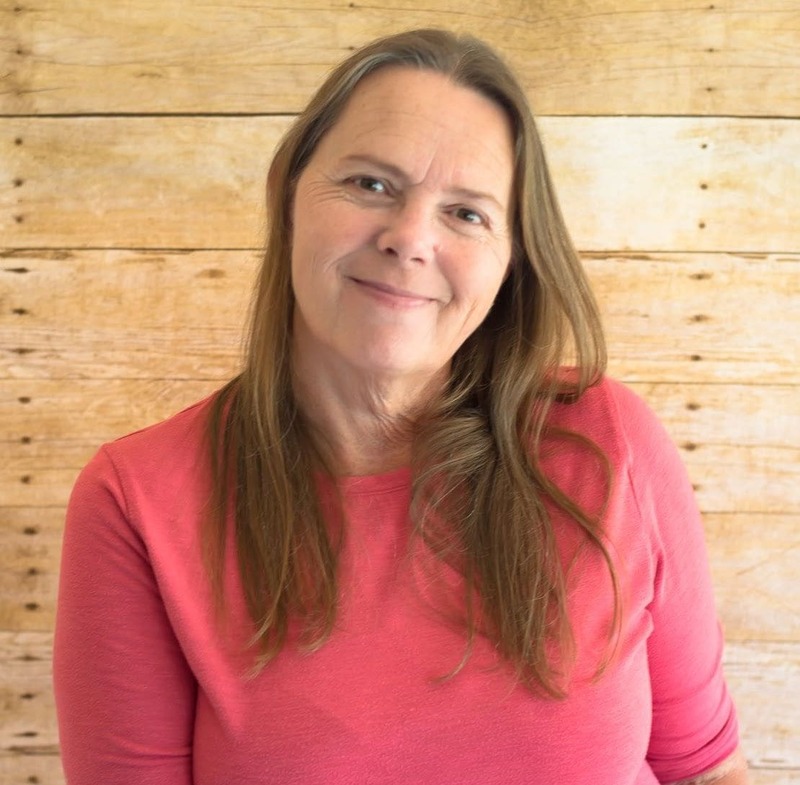 The first is that I love cooking recipes in a crock pot. 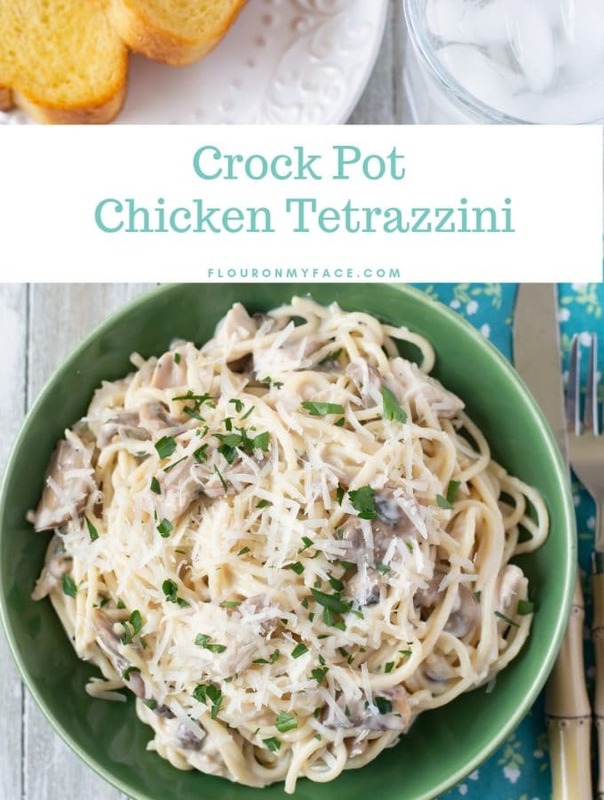 How much easier can it be to throw a bunch of ingredients in a crock pot and a few hours later serve a delicious meal to the family without having done much work. not have to worry about cooking dinner. 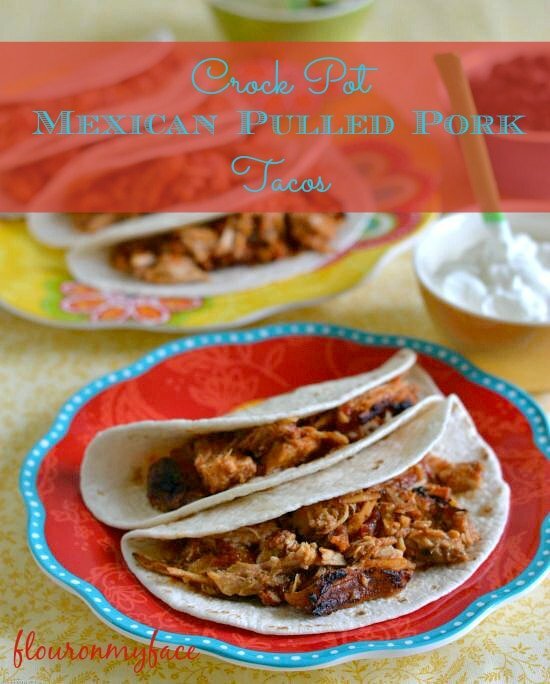 To make this crock pot Mexican Pulled Pork Taco recipe you will need to pick up a Smithfield® pork loin. 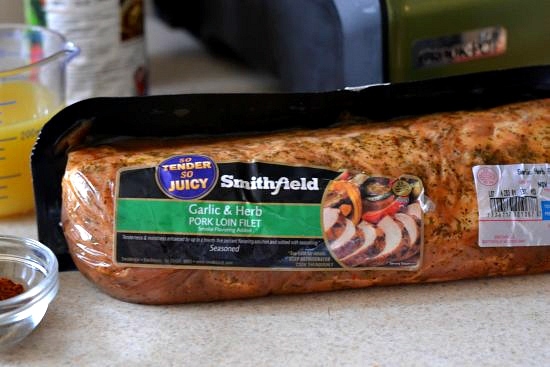 I picked up a Smithfield® Garlic & Herb Pork Loin Filet at Walmart. Right now while quantities last there is a Smithfield coupon available so print one off before you go shopping. 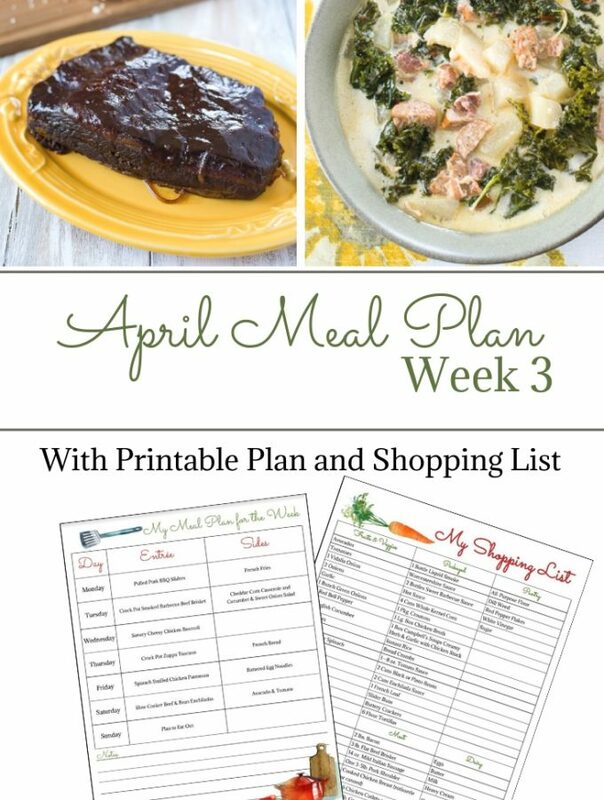 While you are waiting for your coupon to print you can check out some of the recipes Smithfield has on their website. There are a couple I saw I plan on trying. I love making a roasted pork loin with roasted potatoes and carrots for a Sunday family dinner so when I saw that Smithfield® pork is available slow-marinated in delicious seasonings for full flavor I couldn’t wait to try them out. I picked up the Smithfield Garlic & Herb Pork Loin Filet for this recipe but I bet the Mesquite Pork Loin Filet would work well also. Can I toot my own horn for a second here? 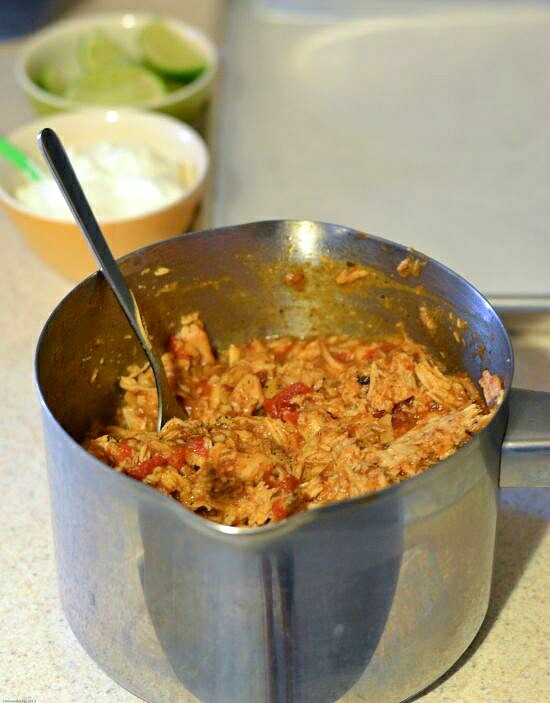 This Crock Pot Mexican Pulled Pork Taco recipe tastes awesome! As the saying goes the secret is in the sauce! 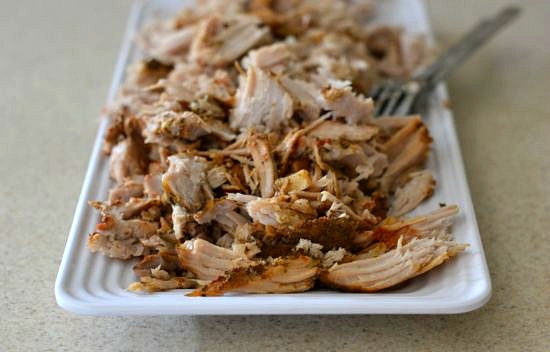 Traditional Mexican and Cuban pork recipes use a citrus juice for a marinade. 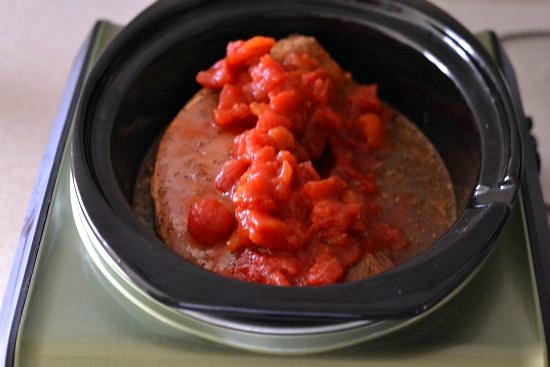 I cooked the Smithfield Garlic & Herb Pork Loin Filet in the crock pot with orange juice, lime juice, diced tomatoes and more spices. Once the pork loin filet finished cooking I reduced and thicken the sauce and mixed the pulled pork in. It made a perfect taco sauce for the Mexican Pulled Pork Tacos. The full ingredient list and directions are below. Put the ingredients in the crockpot. 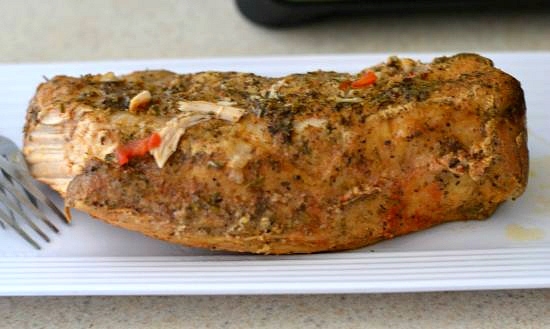 Cook the pork loin filet for 5-6 hours or until the pork loin is cooked through. It will depend on how large of a pork loin filet you are cooking. Half way through the cooking time flip the pork loin over and continue cooking until done. Once the pork is cooked through remove it from the crock pot, place it on a platter and allow the pork loin to rest at least 15 minutes. Transfer the liquids from the crock pot to a sauce pan. After the pork has rested shred the pork with two forks. Heat the liquids from the crock pot until boiling. Reduce heat and simmer until the liquids have reduced by half. Add the cornstarch and water to the pot and return to a boil. Boil about 2 minutes until thickened. Remove from the heat and stir the pulled pork into the thickened sauce. Now you can serve the Mexican Pulled Pork as it is at this point but I took it one step further and browned it a bit under the broiler. This added a little bit of that authentic texture and flavor you get from pork cooked over a fire. 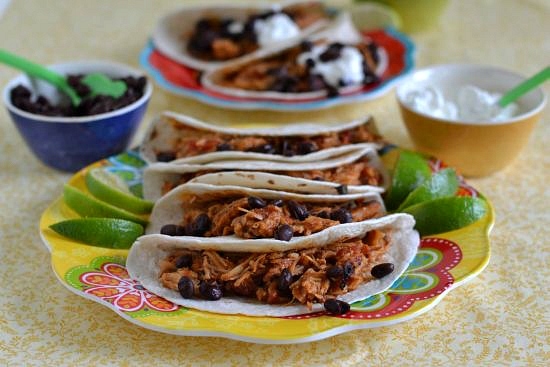 Serve the Mexican Pulled Pork on warm flour tortillas with your favorite taco toppings. I made Mexican Pulled Pork Tacos but this Mexican Pulled Pork would be so good served as Pulled Pork Nachos. Place the first 12 ingredients into a crock pot. Cook on high for 5-6 hours. 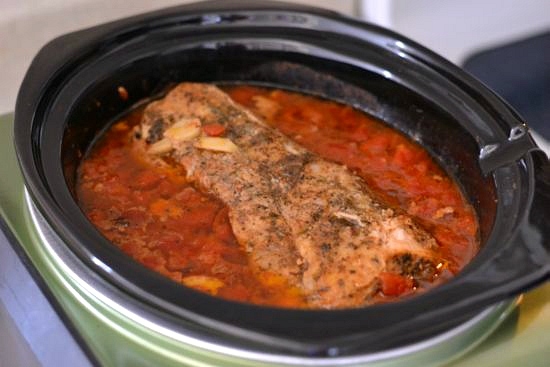 Remove the Smithfield Pork Loin from the crock pot and allow meat to rest for at least 15 minutes. Meanwhile transfer the liquid from the crock pot to a sauce pan. After 15 minutes and while the liquid is reducing shred the pork loin and set aside. Mix the cornstarch with the cold water. Once the liquid has reduced by half stir the cornstarch and water into the pan until thickened. Remove from heat. Add the shredded pork to the sauce pan and stir until all meat is covered. Spread the meat and sauce onto a large cookie sheet. Place the cookie sheet into the oven under the broiler for 15-20 minutes occasionally tossing the meat until lightly brown and most of the liquid has evaporated. Serve on flour tortillas with sour cream, black beans and lime wedges. Check out the Smithfield Facebook page for even more ways to enjoy Smithfield pork. We love pulled pork. Thanks for stopping by! I’ve never cooked a pork loin. I always eye them at the grocery store but I never pick one up because I don’t know what to do with one. I need to get a crockpot so I can make recipes like this! 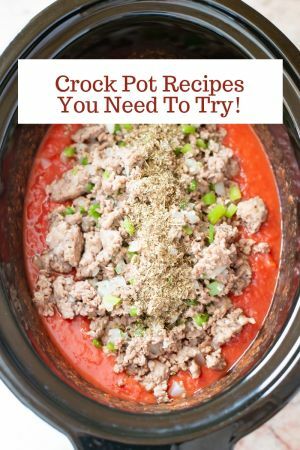 Yes you need to buy a crock pot asap! They make life so much easier. Then make this recipe. It is so good. 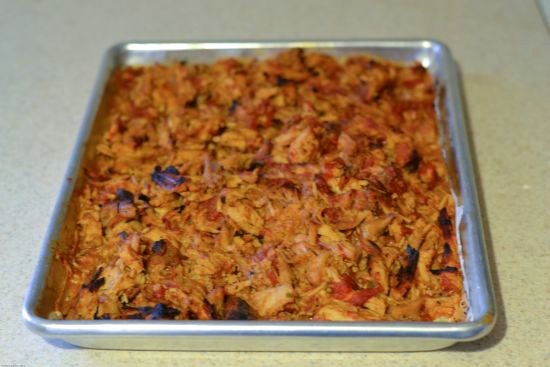 My family never met a pork recipe we didn’t love! 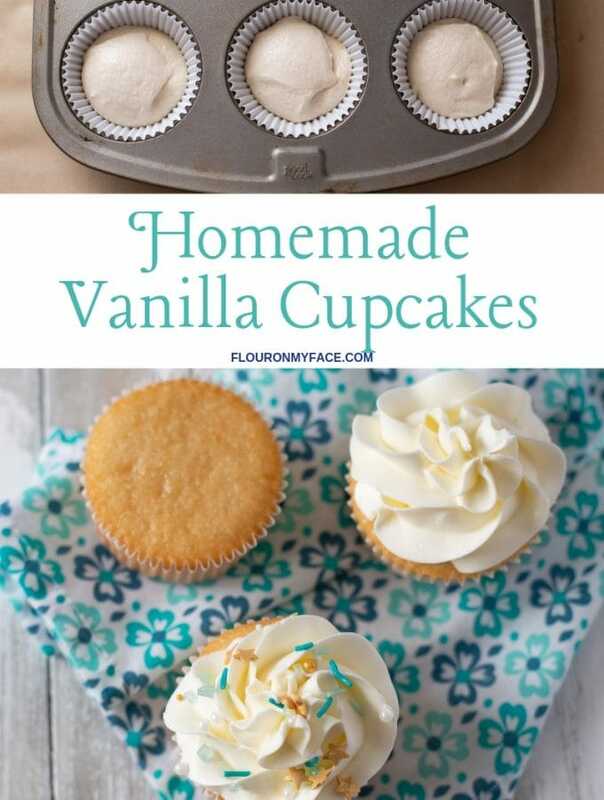 Thanks for sharing – Pinning! 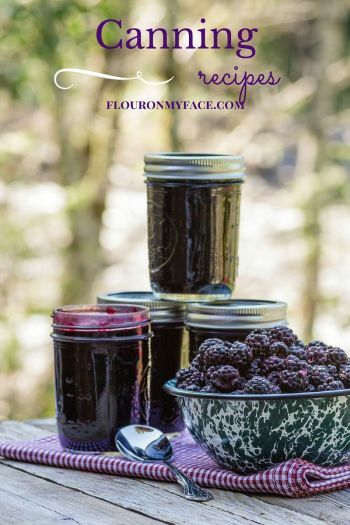 I would love for you to share this recipe at my Show Me Saturday linky party! We are live right now!